Shimmering and eye-catching describe this beautiful Mystic Labradorite Pendant. Each pendant is one of a kind! Each stone or shell has individual markings that are unique to that particular pendant. You will be wearing a pendant like no other! 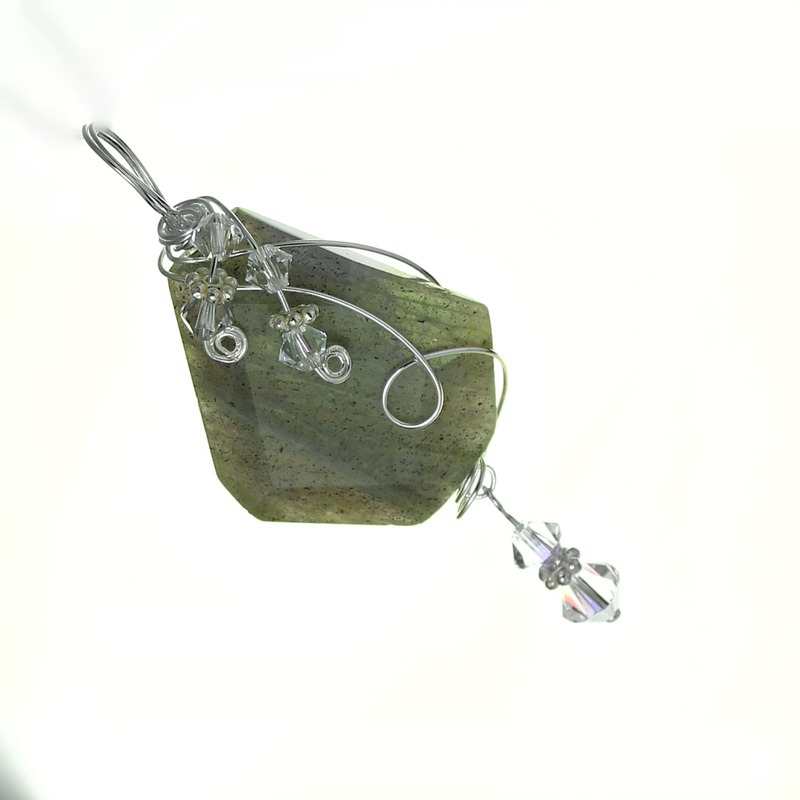 Wire wrapping is also done by hand and results in each pendant having its own style and signature swirl. Completely hand crafted in USA – These are not mass produced! I hand wire wrap each stone or shell and finish each one with genuine Swarovski crystals for that touch of sparkle! Wrapped with non tarnish silver plated wire. Measures 2 1/2″ total length. Go Ahead … Add a little Swirl to your day!